‘EASO operational support activities’ mean any activity coordinated or led by EASO within the framework of its tasks as described in the EASO Regulation and accompanying the Operating Plans, the Special Support Plans and the terms of reference for the Joint Processing activities. EASO offers several kinds of specific support to Member States. Special support refers to tailormade assistance, capacity building, facilitation and coordination of relocation, specific support and special quality control tools. Joint Processing activities are not limited to emergency situations. In fact, as part of a broader sense of contingency planning and response, Member States are encouraged to enhance their cooperation in this new field based on e.g. geographical proximity or language similarities. The exchange of experts who have practical experience on being deployed in another Member State could function as an accessible and flexible common resource, a practical instrument of EASO that can deliver fully operational experts within short notice, therefore providing extra resources and flexibility of staff management for the mutual benefit of the Member States involved. An Operating Plan is established by EASO in cooperation with the Member State (MS) under particular pressure, requesting technical and operational support of EASO. The Operating Plan sets out in detail the conditions for deployment of the Asylum Support Teams, outlined in Chapter 3 (articles 13 to 18) of Regulation (EU) No 439/2010 establishing a European Asylum Support Office (“EASO Regulation”). 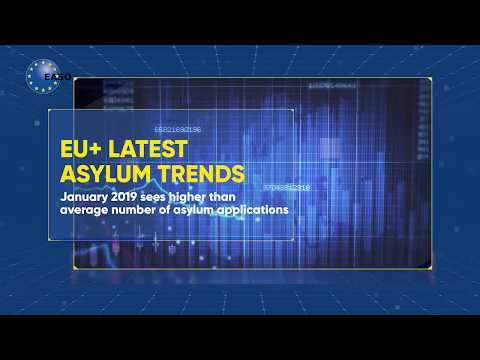 A Special Support Plan is established by EASO in cooperation with the MS with specific needs in their asylum systems in order to help them to improve the implementation of the Common European Asylum System. The Special Support Plan sets out in detail the conditions participation in EASO targeted support measures, outlined in articles 2(1), 3, 4 and 5 of EASO Regulation. Member States who are in need of external help in the management of their specific case-load can request from EASO the deployment of Joint Processing Support Teams. The joint processing activities are launched by EASO and the respective hosting Member States agreeing on the Terms of reference including the main criteria of deployment of the joint processing teams. EASO Work Programme 2016, 3.1 Operational Support: ‘EASO will provide emergency support to EU+ countries subject to particular pressure by deploying EU+ countries’ experts in the form of Asylum Support Teams (ASTs) or by providing other support as required, including through Joint Processing Support Teams as per the European Agenda on Migration and the “Hotspot” approach taken therein. EASO will cooperate with relevant bodies in the provision of such support, devoting special attention to operational cooperation with Frontex and other stakeholders’. All experts deployed to an operation coordinated by EASO are bound by the Code of Conduct for participating in EASO operational support activities. This document is binding not only for EASO staff, but also for those who take part in the operational activities coordinated by the agency. This document is the basis for asylum and immigration officers performing tasks in another Member State during their deployment with EASO as members of the asylum support teams under Operating Plans or participating in the implementation of Special Support Plans, or during the EASO Joint Processing activities. When performing tasks in another Member State during EASO operational support activities, due consideration should be taken of the ethical and legal principles. All participants in EASO operational support activities must be guided by the highest standards, while making use of and sharing their best practices in asylum and reception matters.